BEN Simmons has regressed in his second NBA season and his new starting teammate Markelle Fultz is a key reason why. Following a pitiful defeat to the Brooklyn Nets on Monday (AEST), the Philadelphia 76ers have slipped to 6-5 in the new campaign. They are failing to live up to pre-season expectations that placed them firmly within the NBA Championship conversation. There are problems all up and down the court for Brett Brown's men, but the offensive end has seen a major drop off, especially when Simmons and Fultz share the floor. 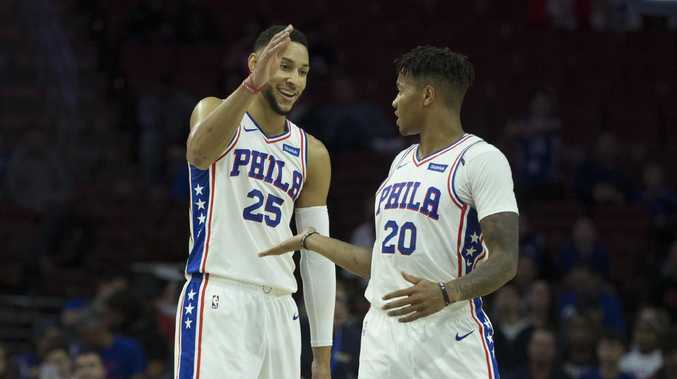 Philadelphia scores like the worst team in NBA basketball with Simmons and Fultz together this season - the duo's offensive rating (89.3) would rank a full 12 points behind the league-worst Orlando Magic. "To date, our starting line-up has struggled," Brown said. "Ben and Markelle are really good players who do lots with the ball, but the spacing in our sport is important. That's the most honest and simple answer I can give." Like his Australian counterpart, Fultz is a weak outside shooter who needs the basketball in his hands to be effective. Simmons is still producing impressive statistical outputs, averaging 13.9 points, 9.3 rebounds and 7.5 assists in 31 minutes per game, but his impact is down and the early season has brought two of his worst games as a professional. The Australian suffered through a career high 15 missed field goals against Charlotte last weekend and followed that up with a career worst 11 turnovers against Toronto three nights later. Despite what the numbers stay, Simmons doesn't believe the presence of Fultz is responsible his slow start, or that of his team. Instead Simmons believes the problems are mental. "We've been playing soft, we've been bullsh**ing," Simmons said, in the aftermath of Philadelphia's loss to Brooklyn. "I don't know if it's a mental thing, a toughness thing or something that we need to point out what it is but we just need to step it up." 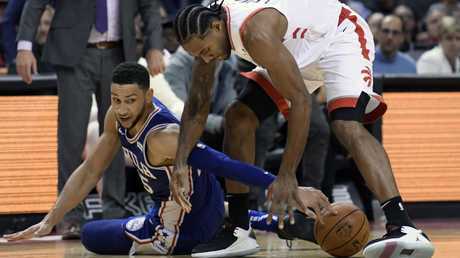 With Fultz by his side, Simmons commits turnovers on an extra 40 per cent of his possessions and his already-questionable shooting slips even further. 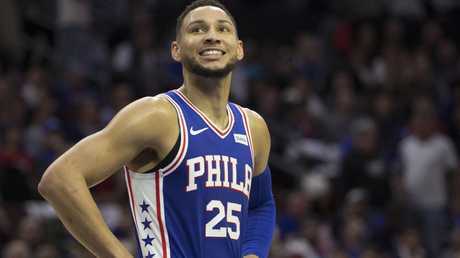 Simmons is shooting 50 per cent from the field this season, down from 55 per cent as a rookie, and has only made two field goals from more than nine feet away from the basket. Brown admits this is an area Simmons and Fultz must address if they are to remain together in the starting line-up. "It's shooting and it's space," Brown said, when asked what Simmons and Fultz need to improve. "That's that. You don't have to reach much further." 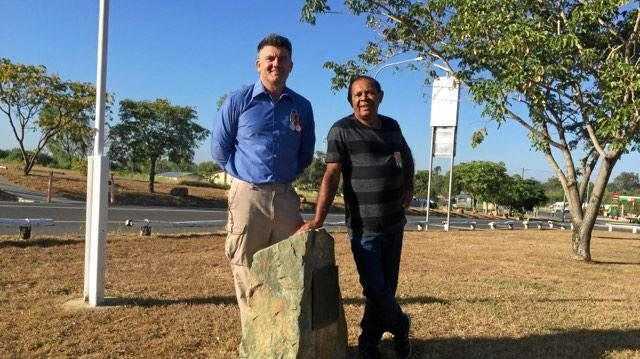 The former Boomers mentor said he wasn't tied to the current set-up. "This is the question we tried to figure out all summer," he said. "It's still on the table, I'm not a prisoner to anything. This is my call. I'm not getting directed by (general manager) Elton (Brand) or by owners. I'm trying to navigate that responsibly. I could play him exclusively as Ben's back-up. That would make him a 12 to 15 minute per game player. I could do that. I have chosen not to at this stage. I want to put him into that starting group to give him more minutes and to look at him and figure some stuff out." Fultz failed to have an impact. Despite the early struggles, Fultz is adamant he can flourish next to Simmons. "We are two great basketball players who know how to play basketball," Fultz said. "We are two competitors and we will find a way to make it work. "We go out and compete. It's only been 10 games and we are just looking to get better." 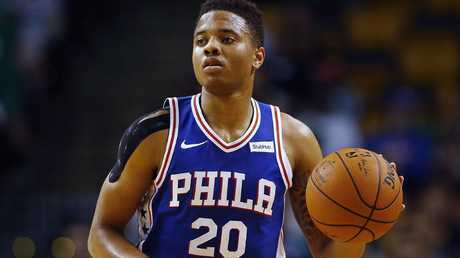 Selecting Fultz in the 2017 draft made sense at the time for Philadelphia, as he was a 41 per cent three-point shooter in college with Washington. This shooting touch has not translated to the NBA as Fultz has only converted four three-point field goals in his 25 NBA games. Simmons is yet to make a three pointer in the NBA having only attempted 11 as a rookie and zero this season.